The Indulgent Collection is an exclusively curated set of makeup and skincare products currently available on Beauty Expert - yes, they ship worldwide. Beauty Expert have been launching such curated collections since last Autumn, and they sell out very quickly, as the sets are great value for money and contain full-sized beauty products. Packed in a neat train case, this collection costs £50, and is worth more than £181. 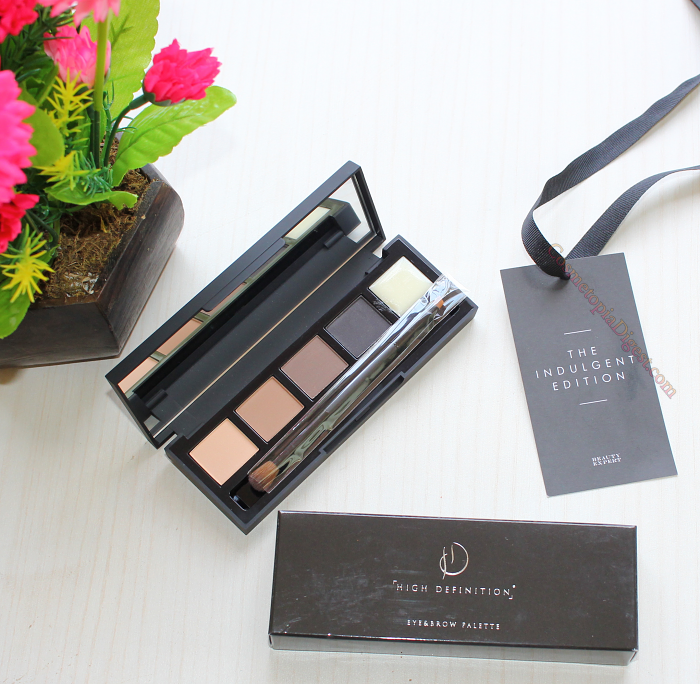 Scroll down for the contents and review of the Beauty Expert Indulgent Collection. 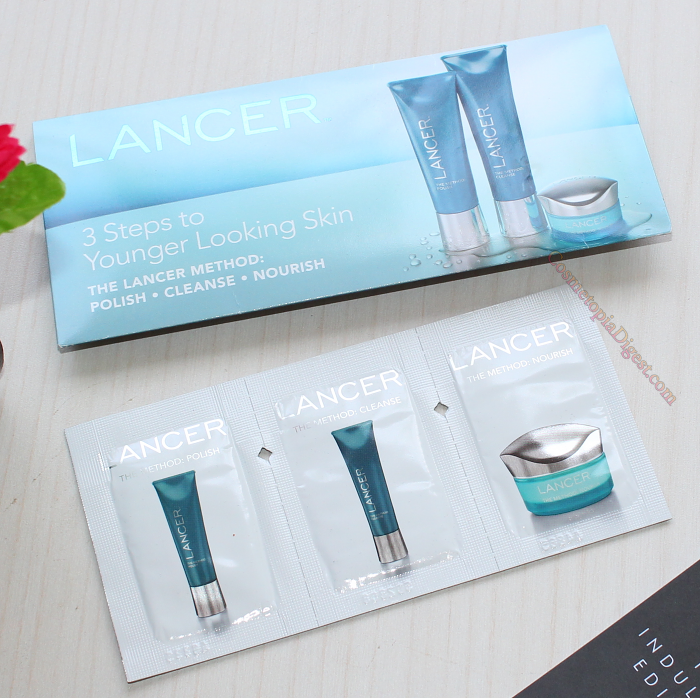 Apart from these, I also received some Lancer skincare samples. 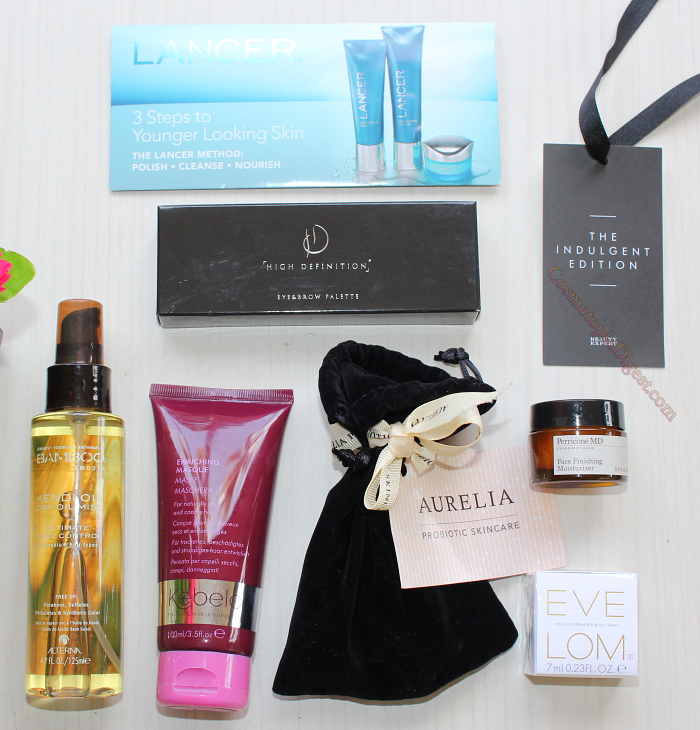 I have only tried the Eve Lom cleansing balm and the morning cleanser. This is my third product from them - a full-sized lip balm. Given that I have to swatch a tonne of matte liquid lipsticks, this is very welcome. At first glance, it seems very rich and nourishing. I used up a sample bottle of this beautiful dry oil. You need to be light-handed with this one, since it can be greasy if you overdo it. It is a great setting and hydrating spray. I've heard great things about High Definition brow products. This is a universal brow palette; it can also be used as a neutral eyeshadow palette. The white pan at the extreme right is wax; the others are brow and highlighter shades. I had reviewed the Aurelia Probiotic Skincare Miracle Skin Cleanser here; apart from this, I haven't tried anything from the brand. This set contains a travel-sized tube of the skin cleanser (score!) and a hand cream, as well as a small anti-bacterial muslin cloth. I received the Face Finishing Moisturiser. Would you believe I've never tried anything from Perricone MD? I'll keep you posted on how I get on with this one. You would think short hair would be healthier - but no; mine is as bushy and damaged as it was before I donated 19'' last October. I can't wait to try this mask for some deep nourishment. I also got a set of Lancer skincare samples. I love this collection even more than their Radiance Edition (see here)! The inclusion of makeup - a full-sized palette - and the range of products I will use and love, and the absence of supplements, are what make this set even better than the Radiance set. Buy the Beauty Expert Indulgent Collection here for £50 - they ship worldwide. Hurry; these will sell out very quickly. 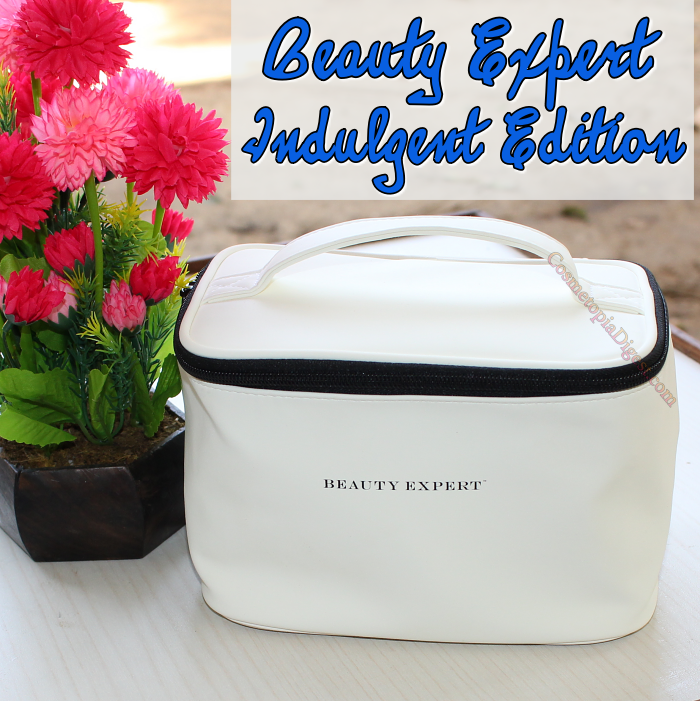 Also, do check out the Expert Edition set available on Beauty Expert for the same price.